Our Georgia Speeding Ticket & Traffic Ticket attorneys represent clients throughout Northeast Georgia and can fight for a charge reduction or speed reduction on a traffic citation. Pulled over? A. Bishop Law provides representation for in-state and out-of-state drivers who receive traffic & speeding tickets in Northeast Georgia. A traffic ticket not only can cost a person time and money, but it can also cost a person a clean driving record, and increase insurance rates. 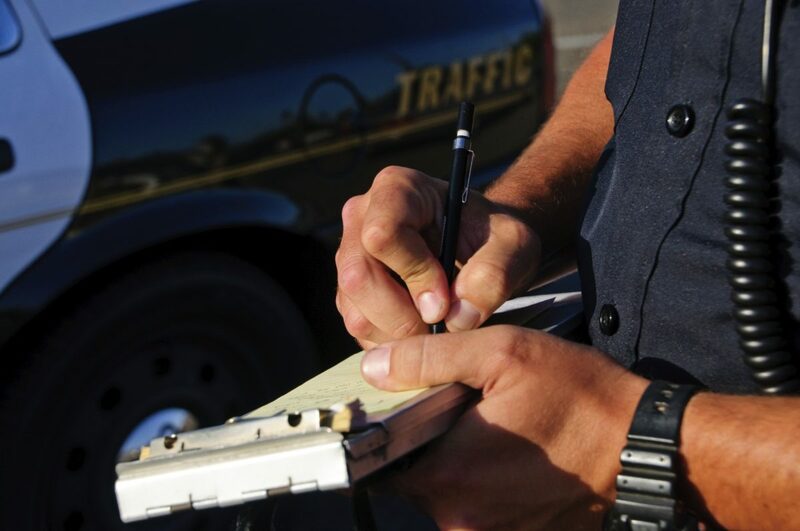 In some cases, a traffic ticket can even result in a license suspension and/or job loss. A traffic citation can have unexpected consequences that a driver may not have anticipated as in such cases of out-of-state drivers, drivers under 21, and CDL Drivers. For this group of drivers, special restrictions and rules apply. Hiring an experienced attorney who is local and is familiar with the court you are scheduled to appear in can be helpful in an effort to receive a positive outcome. We know that every case is different and at A. Bishop Law we work hard to resolve cases favorably for our clients. Protect your driving record and call A. Bishop Law at 770-783-5296 or contact us by email here. 10 Reasons to Hire a Traffic Ticket Defense Attorney: In this list we offer 10 good reasons why having an attorney on your side is a smart idea. Speeding Ticket: A speeding ticket in Georgia can result in fines, higher insurance premiums, and possibly even a license suspension. Protect your driving record and hire a Northeast Georgia traffic ticket lawyer to represent you on your speeding ticket. At A. Bishop Law we fight hard to get a speed reduction and a reduction in fines associated with your citation. Georgia Super Speeder Law: Georgia’s new Super Speeder law went into effect on January 1, 2010. Any driver convicted of speeding whose speed exceeds thresholds of in § 40-6-189 will be classified by the state of Georgia as a Super Speeder. Speeds exceeding 85 on the highway or 75 on any road are considered Super Speeder. Georgia Under 21 Drivers: Every driver under the age of 21 should consult with a Georgia Traffic Ticket Attorney on any traffic citation they receive due to potential automatic license suspensions for those under 18. CDL Drivers: Are you a commercial driver? If your livelihood depends on driving a tractor trailer and maintaining a CDL license for employment, you face even greater risks when you receive a traffic violation in Georgia. Out of State Drivers: What happens in Georgia does not stay in Georgia. Georgia likely shares your conviction information with other states, such as with Florida, South Carolina and North Carolina. Take extra care when deciding to just pay a ticket and move on, it could dramatically affect your current states license, even resulting in a suspension. Aggressive/Reckless Drivers: Receiving an aggressive or reckless driving citation is a serious misdemeanor offense. If your driving record and ability to drive is important to you, then hiring a skilled defense attorney would be in your best interest. This offense, if convicted, could ultimately result in jail time and serious fines. As defined by Georgia Law, a reckless driver is someone who was driving their vehicle with disregard for the safety of others and may have caused a collision due to their recklessness. Speeding/Speeding in Work/School Zone: In a work or school zone, a driver cited for speeding can anticipate a fine to be double of what your average speeding ticket penalty would be. Driving on Suspended License: A citation for driving on a suspended license is charged as a misdemeanor in the State of Georgia. A license suspension can occur for a number of reasons, not knowing your license is suspended is not a defense to this citation. A fine of $500 to $1,000 and 2 days in jail is likely. For more information on A. Bishop Law Georgia criminal and traffic defense services, please contact our office today. Please email us or call us at 770-783-5296 if you have been given a citation for speeding ticket or traffic violation. Your initial consultation is free & confidential.